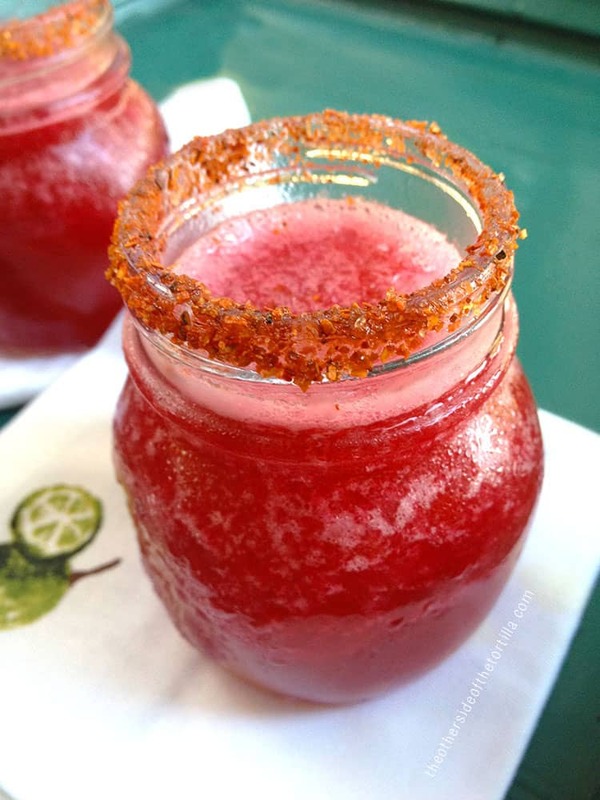 A prickly pear margarita is just the drink you need to punch up your party menu! Grocery stores are typically overflowing with prickly pears—known as tunas rojas in Spanish—in August and September. You can eat them plain, use them to make agua fresca de tuna roja, watermelon and prickly pear paletas, prickly pear sorbet or even margaritas! There are so many possibilities. Prickly pears are full of pectin, which makes them ideal for jelly and jam-making. 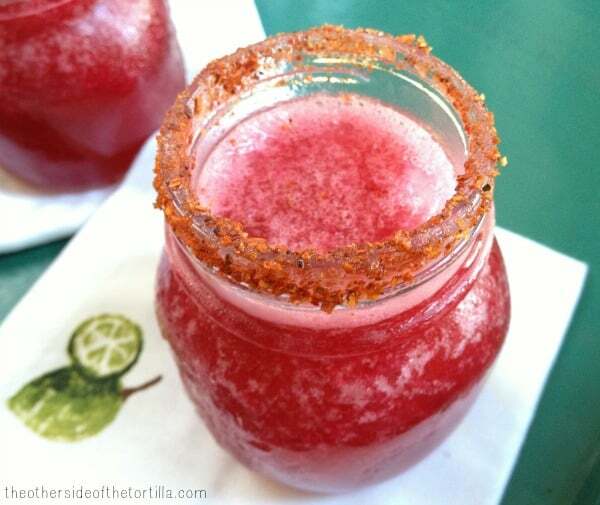 The pectin produces a syrupy consistency that’s also perfect for blending with ice to make a frozen margarita. I’m serving this margarita for our Mexican Independence Day celebration. It’s a sophisticated representation of the Mexican flag: red from the prickly pears, white from the tequila blanco and green from the lime. Red prickly pears are the star of this spin on a classic margarita. Remove the skin from the prickly pears and chop roughly. Add chopped prickly pears to a food processor or blender with tequila blanco, Cointreau, lime juice and sugar. Puree until smooth, then strain the puree to remove the prickly pear seeds. In a clean blender or food processor cup, add the strained puree and 3 cups of ice and blend until the mixture becomes slushy. Wet the rims of the glasses by rubbing with a lime wedge. Put the Tajín in a flat dish and dip the glass rims in it until they're coated all the way around. Pour the margarita into the glasses and serve immediately. For more on different varieties of prickly pears and how they’re used in Mexico, Saveur has an excellent little guide you should check out. What’s your favorite way to consume prickly pears?